Do the laundry . . . Make dinner . . . Mop the floor . . . Register for soccer . 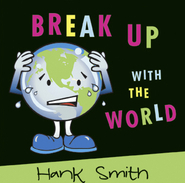 . . Um, nowhere on my busy-bee to-do list does it say to bring cookies to my hermit neighbor. How can I even go there? He hates my kids. And his dog is mean. And he’s probably not home anyway. . . The angels who surround us on earth and who speak by the power of the Holy Ghost never seem to consult our to-do lists before prompting us to set them aside and run an errand for them. Receiving a spiritual prompting can sometimes leave a bad taste in our mouth. We don’t have time. We don’t want to. And we’re not even sure if it WAS the Spirit. Maybe we just made it up. . . . 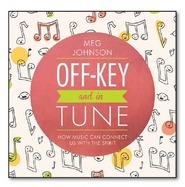 In this lively new talk, motivational speaker and author Meg Johnson shares how angels find those of us who are listening and send us on (often uncomfortable and totally out-of-the-way) errands. When we swallow the urge to dismiss the subtle promptings and act, we taste sweetness in our service as we become angels on earth for angels unseen—helping them in their work to provide tender mercies and miracles. Our efforts might seem small—President Russell M. Nelson compared them to the one-twelfth of a teaspoon of honey a bee makes over its lifetime—but that tiny squirt of sweetness is enough for our own life and the lives of any we’re on an errand to sweeten. 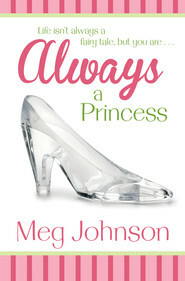 Meg Johnson’s charming, lively, and thought-provoking stories will have you laughing, crying, and ready to forget any busy-bee to-do list as you truly FEAST on the delicious words of Christ spoken by the angels who surround (and love) us. 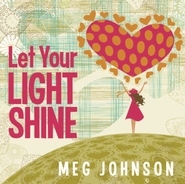 Meg Johnson has motivated tens of thousands of people across the globe with her motto: When life gets too hard to stand, just keep on rollin'! Meg broke her neck in 2004 and spent four months in the hospital recovering multiple injuries; she returned home without the use of her legs, back, stomach, or hands - a quadriplegic. In the time since she was paralyzed, Meg has competed in the national Ms. Wheelchair America pageant in New York and founded and directs the Ms. Wheelchair Utah pageant. Her speaking and writing inspire people of all abilities, and her newsletter, Meg's Monthly Message, is read around the world. She loves service and volunteers weekly at a hospital. Many of Meg's accomplishments have been seen in newspaper, magazine, and news broadcasts. Her greatest joy is being a wife to her husband, Whit, and a mother to their beautiful daughter, Zula Mae. 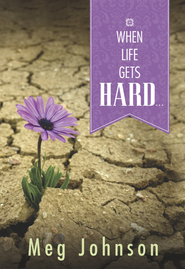 When Life Gets Hard . . .